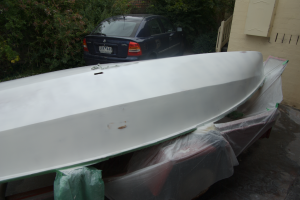 The first two coats of the undercoat have been done. 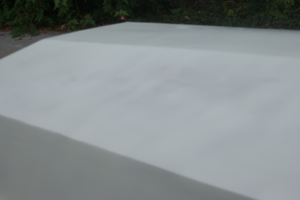 A few spots that haven’t been faired properly popped up, so it looks as though another coat is in order. The spot on the side is where the hole has been filled in. The sides aren’t as smooth as I thought. The stern of the hull doesn’t have as much coverage as I would like. 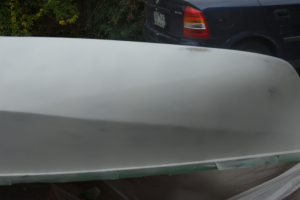 Again the front of the boat prooved a bit tricky as well, with a couple of small spots requiring respraying.